This week’s wanker is not just one person but the entire administrative structure of a European city. The Municipal Authorities of Vilnius, capital city of of Lithuania, have banned this year’s Baltic Pride march. This is part of an ongoing assault on LGBT equality and human rights taking place in Lithuania and the other Baltic states of Latvia and Estonia. 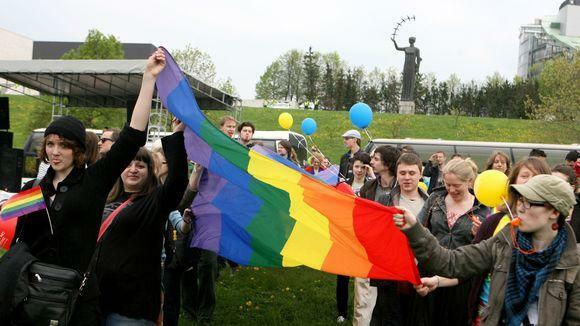 The last Pride march in Lithuania, back in 2010, was only allowed to go ahead following a court ruling and took place in a heavily guarded area, away from the city centre. Around a thousand people took part in a counter protest, including prominent politicians attempting to break through police lines to attack the marchers. The organisers of Baltic Pride 2013 are determined to hold the march on Gediminas Avenue, the main street of Vilnius. After having been refused permission to do this by the municipal authorities, they took court action, gaining a ruling that their right to freedom of assembly must be respected and that the authorities must reopen negotiations on where the march should take place. The organisers met with the authorities again only to be told they wouldn’t be allowed to march at all. The ultimate responsibility for this decision lies with the Mayor of Vilnius, Artūras Zuokas. Zuokas is probably best known outside Lithuania for having crushed an illegally parked car with a tank in a stunt for Swedish TV. He can also often be seen twatting around Vilnius on one of those Segway things, which is enough to make him a wanker as far as I’m concerned. Zuokas is also known for the kind of corruption that would make Glasgow City Council look like the epitome of honesty and good governance, having been repeatedly re-elected despite a conviction for bribery. 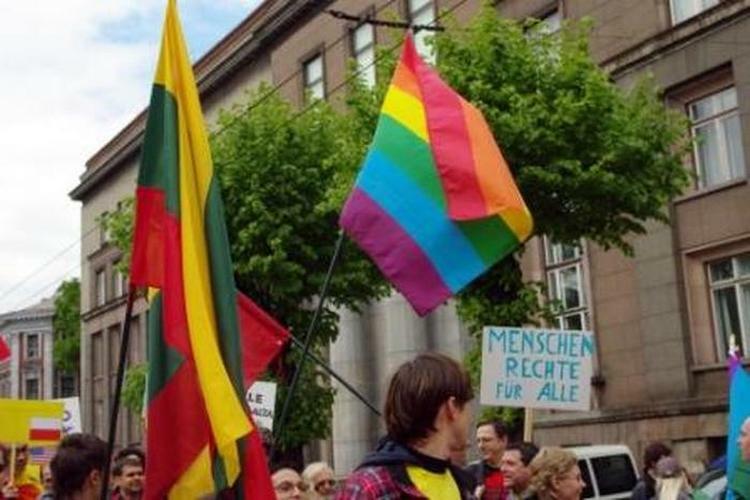 The political context surrounding the ban on Baltic Pride is one where ultra conservative nationalism is attempting to assert itself as the only valid identity in post-soviet Lithuania. Neo Nazi marches are regularly given permission on Lithuania’s various independence days (lets just say the history is very complicated) and are attended by thousands. The Lithuanian parliament has recently passed the first reading of two bills attacking LGBT rights, as well as a bill designed to outlaw abortion. Meanwhile, people are being subjected to austerity and unemployment on a par with Greece (when I’ve asked people why there’s been virtually no protest at this I’ve been told: “we don’t protest, we just emigrate, that’s our pressure valve”). This context shows why it’s so vital that the Pride march goes ahead, not only as part of the global fight for LGBT liberation, but to show that there’s more to this fascinating, brilliant city than the conservatives and nazi headbangers would like to admit. 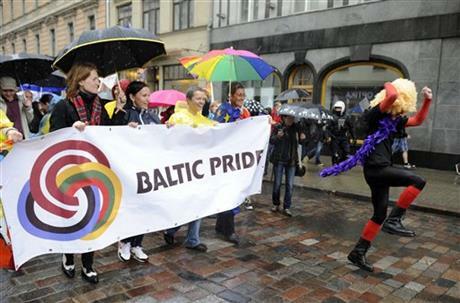 You can sign a petition supporting Baltic Pride 2013 here. Artūras Zuokas and the Vilnius Municipal Authorities, you’re a bunch of wankers. Baltic Pride won the right to march on Gediminas Avenue in court today. Victory!